Vadivelu will join the shooting of Shankar-produced Imsai Arasan 24th Pulikecei soon. 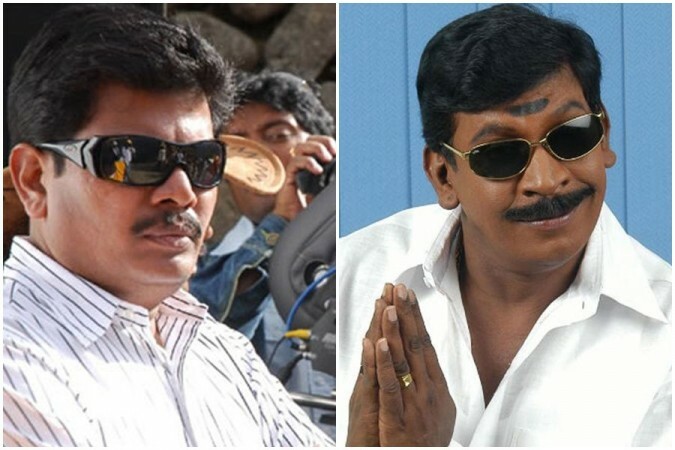 The Tamil Film Producers' Council has reportedly brokered peace between Vadivelu and Shankar, who had numerous of issues over the making of Imsai Arasan 24th Pulikecei. The shooting will resume soon as the duo has decided to bury the hatchet. The producers' guild had many rounds of talks with Vadivelu and Shankar, who finally agreed to find an amicable solution to the issues. The shooting of Imsai Arasan 24th Pulikecei was stalled almost a year ago over multiple reasons. The rumours said that Vadivelu had many issues with the makers and he was also not happy with the remuneration being paid to him. After starting the shooting, the actor demanded a hike in his salary and Shankar, who is now gearing up for the release of Rajinikanth's 2.0, agreed to meet his demand. Later, Vadivelu's interference in the creative aspect of Imsai Arasan 24th Pulikecei irked the makers, who took up the issue to the Tamil Film Producers' Council and the Nadigar Sangam. There were reports that the producers guild had gone to the extent of warning Vadivelu of banning him if he fails to co-operate with Shankar and his team. Imsai Arasan 24th Pulikecei is a sequel to Imsai Arasan 23rd Pulikecei. The Chimbudeven-directed film is bankrolled by Shankar's S Pictures. On the other side, director Chimbu Deven, who had moved on to a film produced by Venkat Prabhu, will returning to Imsai Arasan 24th Pulikecei soon.